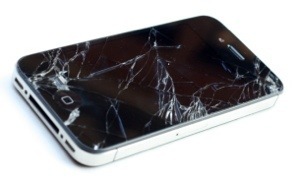 So your kid (ahem, or you) dropped your snazzy new iPhone in the parking lot and now the screen is all cracked up. You’ve heard about the neighbor who bought the $30 replacement part from China and saved $50 by repairing the phone herself. You decide to go for it and give it a shot yourself. STOP!!! Seriously, get off Amazon and immediately start a Google search for iPhone repairs in your city. Unless you enjoy teaching your kids new cuss words, DO NOT ATTEMPT to repair an iPhone yourself. Microscopic screws. Ridiculously tiny cables. Flimsy wires. Sticky adhesive. Long, excruciatingly detailed instructional videos. A dozen different screw types and sizes (microscopic, very microscopic, like plankton microscopic, etc). Did I mention the screws are small? $50 is a small price to pay for your sanity. Just do it. Seriously.